Sport is such a huge part of the student experience here at Exeter. Whether it’s the skills learnt or the friends made, there’s no doubt that sport provides some of the best memories of time at university. 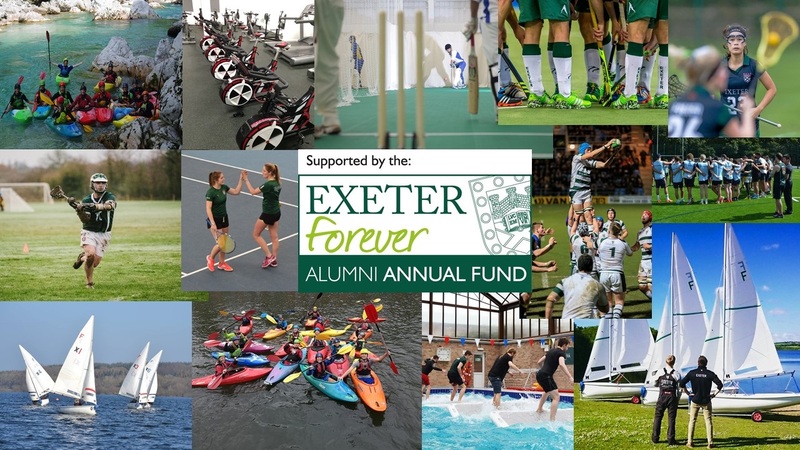 The bonds formed through taking part in sport at Exeter often last well beyond graduation and many of our alumni count former team-mates amongst their closest friends. Our 50 sports clubs' combined membership is over 8,000 and more than 3,00 students compete in friendly competition through our intramural sports programme. Our students also have a positive impact in the local community through sport, with our Sports Volunteering Scheme providing student coaches to local schools in Devon and Cornwall. Alumni donations have provided a huge range of support to sports clubs over the past few years. Thanks to the generosity of alumni, donations have enabled students to engage in sport both socially and at a competitive level on all of our campuses. Funds raised have been used to support a wide variety of activity: new equipment has been bought, facilities have been refurbished and coaching has been provided. A few examples of this include new boats and storage for the Sailing club, skis for the Snowsports club, new canoe polo boats, the speed track at the St Luke’s sports centre, the AU’s mental health campaign, a new tumble track for the cheerleading and gymnastics clubs, a new scoreboard at Topsham cricket ground, equipment for the trampoline club, and training for the korfball club, amongst many more. Will you join the team of donors? Please help us to support many more sports clubs and provide an exceptional sporting experience for students today by making a donation. Your gift can help with improvements to facilities, allow clubs to upgrade their equipment or ensure we maintain high levels of participation at all levels. All gifts, of every size, are appreciated and collectively can be transformational. Regular gifts help the University plan for the future and ensure donations have the greatest impact. If you would like to set up a direct debit and give regularly to Sport, please click here.